When it comes to thinking of types of insulation probably the first thing that comes to mind is the typical mineral wool style insulation that you normally find in the loft. This insulation type is now the most common standard when it comes to fitting insulation into the home, in fact so common that it is not only installed professionally under the various grant schemes that are available but is also available in most DIY shops in large rolls. Mineral wool insulation is cheap and common, but it does have its drawbacks. For a start the recommended depth to meet current insulation standards in the loft is around 300 millimetres or close to 12 inches in depth. In a loft the joists are normally around 100 millimetres in height so applying this much insulation will mean that the mineral wool will far exceed the joists. This will make it practically impossible to board out and to use the loft for storage. In fact for safety purposes if a professional company undertakes the installation they will normally apply safety notices inside the loft explaining that it is now unsafe to access without a crawl board since it will not be possible to tell where the joists are under all that insulation. This could lead the unwary to fall through the ceiling below. A further drawback is that over time the mineral wool will rot. Normally mineral wool comes with a predicted 25 year life span, although this is just a guide line as the fabric gets dirty, dusty, damp and damaged and starts to lose its optimum thermal properties. The large amount of mineral wool installed is to help make up for these losses over the lifetime. So in short it is not ideal, but there are other options. There is a foam board insulation, or to give the proper name Polyisocyanurate. This is also known as PIR, polyiso or ISO, or collectively by particular generic brand names in the market place such as Kingspan and Celotex. 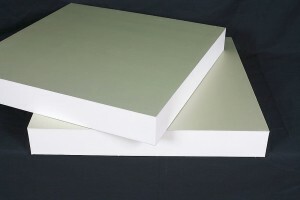 This is a material that is produced as corrosion resistant foam and used as a rigid board. These boards can also be lined with aluminium to help improve the thermal efficiency of the board even more. This material is produced in thicknesses of 50-100 millimetres which does replicate the same thermal efficiency as the recommended depths for mineral wool. As a result the material is easy to fit, store and install and can be applied into most insulation requirements including walls and easily fits into the joists in lofts. Thus allowing the loft to be boarded and used for storage. In addition to thermal benefits the insulation can reduce noise and vibration, especially when used as wall insulation in modern building construction. The reduced size of the insulation depth needed and the fact that PIR boarding doesn’t degrade over time makes this a valuable insulation material for the future. The major drawback is that it is expensive compared to the mineral wool insulation. In an age of cost savings and reductions it is more common to use mineral wool in both new building and in retro fitting. If space is a key issue to you then it is in your interest to consider Polyisocyanurate or PIR. It is a versatile material which should help to save you money in the long term! It is also important to look into insluationg your home before you have a house valuation as your house will be valued at more with insulation especially if you are selling just before the winter months. « Considering Carbon Offsetting ?